Due to some difficult personal stuff I neglected this blog entirely last month, to the confused dismay of absolutely no-one. Now that things have started to settle, for better and worse, I’ve been thinking about the future – roleplaying games included. In that spirit, I’ve been looking at my favourite publishers’ upcoming releases and getting myself all excited. Here are ten I’m particularly curious about, coming out in 2015*. * Maybe. Reliable RPG release dates are the rarest of beasts. 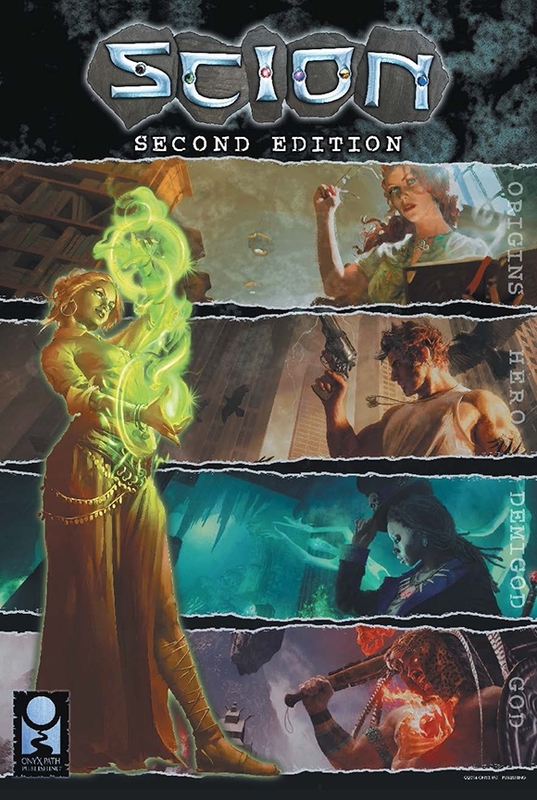 SCION (2nd Edition) When I first got into roleplaying, the elevator pitch to Scion immediately sparked my imagination. The heroic demigods of myth and legend in a cynical, contemporary setting hit just the right balance of romance and scepticism for me. Before I actually tried the game though, I was warned off by my friends, due to its allegedly deficient implementation of the (already flawed) Storytelling system. But unlike Onyx Path’s World of Darkness releases, the new edition of Scion will be using a brand new system of the Path’s own design. When Onyx Path released the God Machine Chronicle (aka definitely-not-World-of-Darkness-Second-Edition-oh-wait-now-it-is), I thought the revisions they implemented were changes for the better. So I’m cautiously optimistic about what the new Scion will look like. Might actually play this one. APOCALYPSE WORLD: DARK AGE I’ve mentioned before that Apocalypse World is an excellent game, and I’ll never get tired of saying it. It’s a testament to Vincent Baker’s brilliance that not only have so many other designers adapted his system for their own games, but that the original Apocalypse World still remains the best and most elegant version, in spite of the many many many high quality adaptations out there. So when Baker himself returns to do a new version, in a pseudo-historical Dark Ages setting no less, that’s definitely worth paying attention to. The beta for this is already out, and I’ve been lucky enough to play it twice. I like it, but it’s unfinished – the mass battle system isn’t really working, for example. I’ve no doubt that by the time Baker is done, we’ll have an end product that’s worth getting very excited about. I’d happily wait till 2016 if that’s how long it takes to get it perfect (which it might be, a 2015 release date is just a guess). 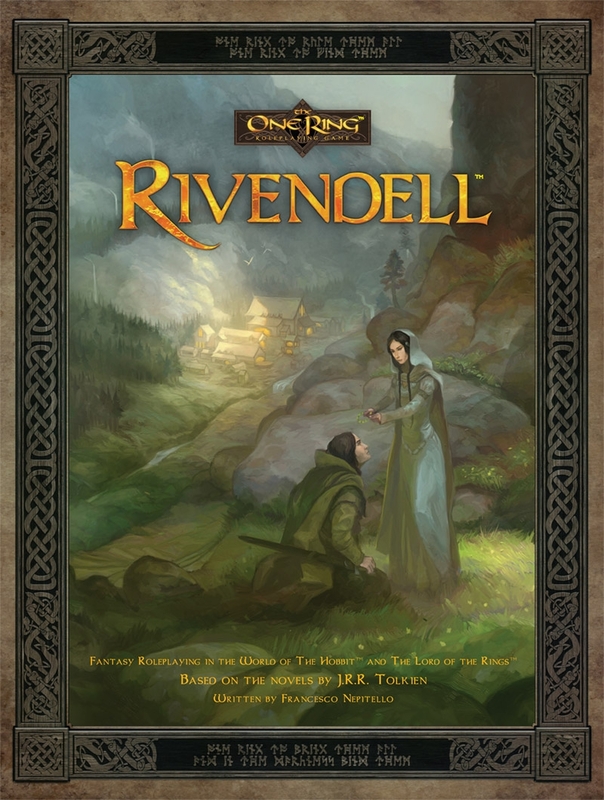 RIVENDELL The latest supplement for The One Ring, this is actually already out in PDF, but I’m a hard-copy kinda gal. Lots of interesting new mechanics in here – I’m particularly intrigued by the Eye of Sauron as a kind of plot-stress/threat-response tracker, it reminds of Heat from Night’s Black Agents except magic and on fire. But most exciting of all are the new heroic cultures for High Elves and Dunedain Rangers, making Rivendell the first in a promised series of books to expand the range of playable cultures beyond the rather dismal set provided in the core game. I don’t usually go in for expansions, even for games I really like, but stuff like this is exactly the way to get my attention. The inclusion of new rules for magical treasure and the like is almost enough to overcome my cynicism that a more representative range of cultures should have been in the original rulebook. Turns out that almost is good enough. 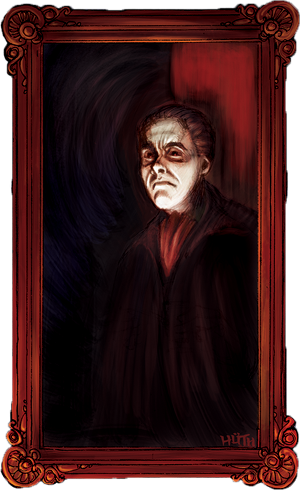 DRACULA DOSSIER/DRACULA UNREDACTED The Armitage Files for Night’s Black Agents, the Dracula Dossier chronicles the efforts of several generations’ worth of intelligence agencies to recruit the Prince of Darkness as an asset. I’m guessing it doesn’t end well. To go along with the dossier’s assorted collection of clue-documents, Pelgrane Press are also doing a straight-up reprint of Bram Stoker’s Dracula, annotated with various bits of NBA flavour around the margins. 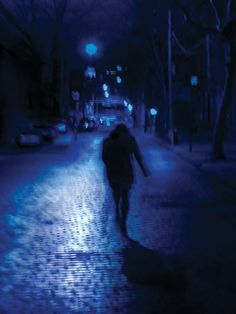 I’ve never used The Armitage Files, because I know practically nothing about the Cthulhu mythos and like it that way – it keeps me in the dark when I’m playing an Investigator. So the Dracula Dossier is likely to be my first opportunity to try running a Gumshoe game in a more improvisational fashion. The Kickstarter is around the corner, and I’ll be backing it if shipping costs are reasonable. That should tide me over whilst I’m waiting for other Gumshoe tastiness, like Fear Itself second edition. 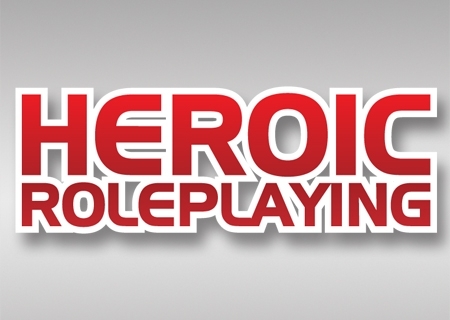 HEROIC ROLEPLAYING As in Marvel Heroic Roleplaying, except they don’t have the Marvel license anymore. Details are scant at this stage, the Margaret Weis website simply states that it is “Coming Soon”. It’s good news for the system’s fans, as by all accounts the designers had loads of more interesting stuff planned before the deal with Marvel ended unexpectedly. This should provide an outlet for those ideas to see the light of day. To be honest, I’m not that excited about this one. I didn’t like the Marvel game, but I know a lot of people did, so this is here for completeness’ sake more than anything else. 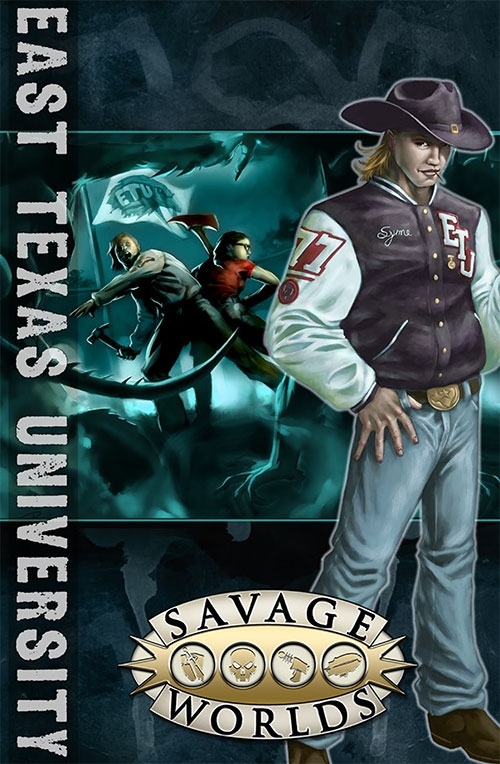 EAST TEXAS UNIVERSITY Also known as ETU, or “Buffy Season Four: The Game”, this is an urban fantasy Savage Worlds game of college students vs evil. 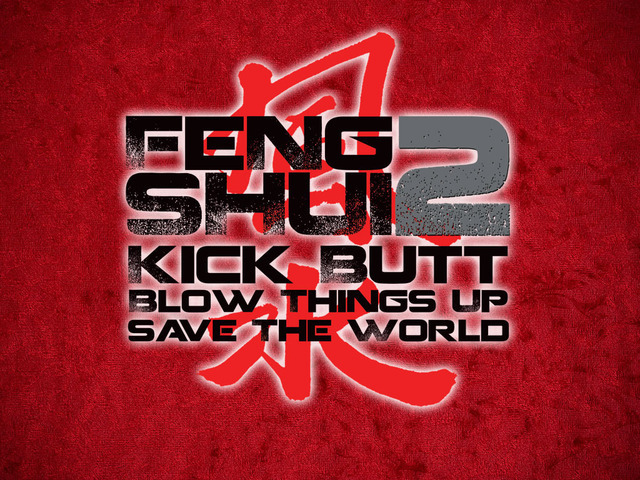 This was Kickstarted quite recently, so PDFs are out for this too. Hopefully a book release can’t be far away. Savage Worlds is a game that I really like but hardly play anymore. I think of it as the middle road option for system-crunchiness, but increasingly I’m defaulting to lighter options, or just using Fate Core again. Necessary Evil, Low Life and Deadlands Noir are all sitting on my shelf waiting to be played; I picked up Weird Wars Rome at GenCon, figuring that something specifically military-focussed would would help sell me on Savage Worlds’ moderately detailed combat, before realising that if I wanted to play a game of imperialistic conquerors oppressing alien cultures, I’m more likely to get out Only War again. Hopefully ETU will be the game to get me back into the system, rather than being another thing to feel guilty about. Truthfully, I’ll probably pick it up either way. 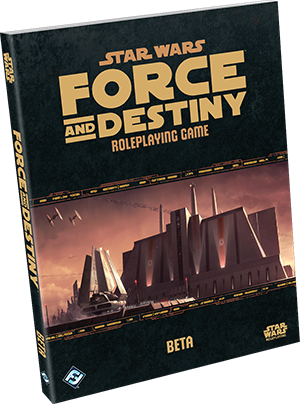 FORCE AND DESTINY The third in Fantasy Flight Games’ Star Wars RPG trilogy, this is the game that will finally shine a light upon the Force users of the Star Wars galaxy in full detail. And unlike Age of Rebellion, which seemed to be a reprint of Edge of the Empire with a shallow change of theme, this does actually seem to be a different game – with a greatly expanded suite of Force powers, and a new Morality stat that doesn’t just work the same way as previous games’ Duty and Obligation. A beta version of the rules is out… and inexplicably, ON SALE in stores, whilst FFG continue to prompt the community to share their playtester feedback. I find the prospect of FFG releasing a game they know to be unfinished, and expecting people to pay for the privilege of designing the game for them, to be extremely demoralising… but as not as much as the fact that people are buying it anyway. I will be stubbornly holding out. Until the opportunity to spend £40 on buying the finished game comes up anyway. Sigh. 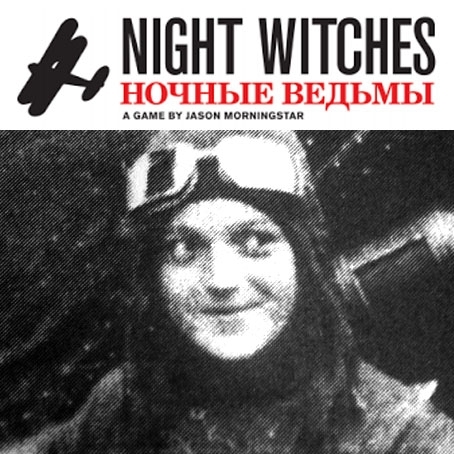 NIGHT WITCHES Another game Powered by the Apocalypse, this latest offering from Jason “Fiasco” Morningstar covers the little known real-life story of an all-female Soviet bomber squadron on WW2’s Eastern Front. And it sounds like this game is going to be hard, with the PCs having to deal with failing aircraft and rampant misogyny as well as, you know, Nazis. Playable versions are out there, and people I know who have played it seem to be very impressed. Tired as I am of Apocalypse World hacks (I’ve played and run a lot recently, my own included), the novelty of the theme alone is enough to attract my attention. The promise of another RPG from the king of depressing World War II stories is just the icing on the cake. I was confused and dismayed! Really I was. Not in equal measure, necessarily… Anyway, I’m glad to see you updating again. The blog is great and long may it continue. I’m not as on the pulse of roleplaying as you are, so I’d only heard of a few of these games before. There’s a lot of interesting stuff here. Please tell me Margaret Weis are releasing Dramatic Roleplaying as well as Heroic Roleplaying, or there’s no justice in the world. You left out an X from ‘Louis XIV’ in the Dark Eras section, by the way. In the text but not the link. Playing during the reign of Louis IV of France would be a very different game. Also, you mentioned your own Apocalypse World hack. Maybe I should make this comment on the previous post, but whatever. I went to the Grand Canyon recently, and I’d read your post recently so I when I was there I kept thinking how so many of the vast rock formations in the middle of the canyon looked like gigantic dragons, dormant so long they’ve completely petrified. All it would take to trigger your dragon apocalypse would be to wake them up. Aww, well aren’t you lovely. Not heard anything about Dramatic Roleplaying getting another game, though the Cortex Plus Hacker’s Guide does have setting-neutral systems documents for both Action and Dramatic Roleplaying. Granted it also has a Heroic Roleplaying section, but it’s stylised as D&D fantasy. I’m guessing the new Heroic Roleplaying will be actual superheroes again, but now I think about it, that’s just pure supposition on my part. As for Haze of Teal, who knows. I actually did do some fiddling with it back in the Spring, but I’ve settled into yet another hiatus… maybe I’ll conjure the enthusiasm to give it another crack at some point. Yeah, I’ve got the Hacker’s Guide. Good book, too, although I’ve really only looked at the Dramatic Roleplaying bits. Apparently I should try out Action Roleplaying at some point? I’ve heard it’s also good. I now really want to play in a Grand Canyon Dragon World game you run. Please don’t dangle that in front of me and not follow through! And whenever you need another pair of eyes for Haze of Teal (almost typed Taze of Heal, which is just the worst weapon ever), I’d be happy to read it. Bwahaha, I am the master dangler. Action Roleplaying looks fun, I’ve only run one game of it though which was a Leverage game a few weeks ago. It’s certainly the simplest implementation of Cortex Plus – the divide between Leverage and Marvel, in particular is cavernous. There are actually two versions of Action out, since MWP released the new Firefly RPG this year, but I’ve not had a chance to try it out. Unlike Leverage, it uses a very vanilla “stat-plus-skill” set-up for the basic dice pool (which is disappointing), but it also attempts a number of changes that seem designed to counter a number of problems I had when running my Leverage game. We should try it out sometime, assuming you are a Browncoat? Master Dangler, you fiend, we meet again! This time you shall not escape justice at the hands of the Persistent Roleplay-Seeker! I am absolutely up for playing Leverage or Firefly or both with you. (Although I’ve never seen Leverage and I don’t know how I’d feel about Firefly without the main characters from the show.) To be honest, I am absolutely up for playing in nearly any game you’re planning to run.